The First War of Indian Independence in 1857 was a decisive turning point in the history of modern India which shook the very foundations of the East India Company and British rule and galvanised the people to fight against the oppressive regime. The spark for this revolution was provided by none other than Mangal Pandey, an Indian soldier whose actions had far reaching ramifications in shaping the landscape of Indian history. 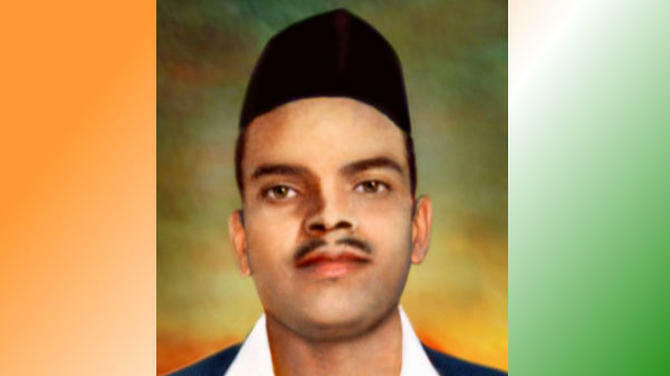 He was the first martyr of the First War of Indian Independence. 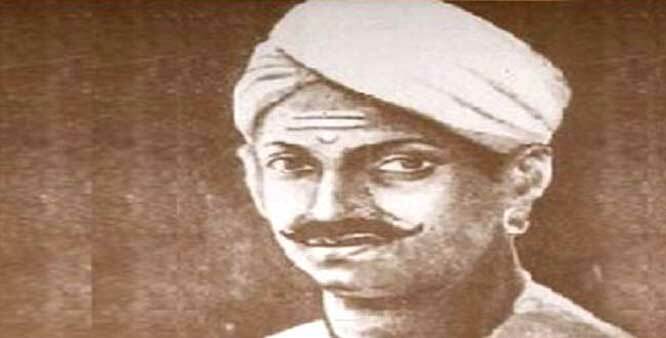 Mangal Pandey was born on July 19, 1827 in village Nagwa of district Ballia in Uttar Pradesh. He belonged to a high-caste Brahmin family. 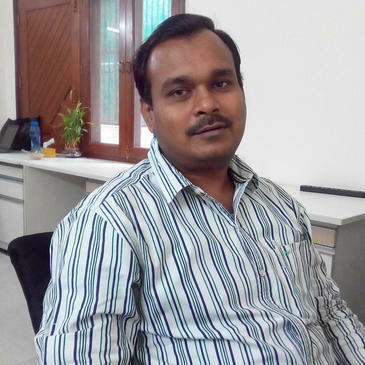 His father Divakar Pandey was a peasant. When Mangal Pandey was 22 years old, he joined the army of the British East India Company in 1849. However, some accounts suggest that his recruitment was a random event — he was recruited by a brigade that was marching past him while he was on a visit to Akbarpur. 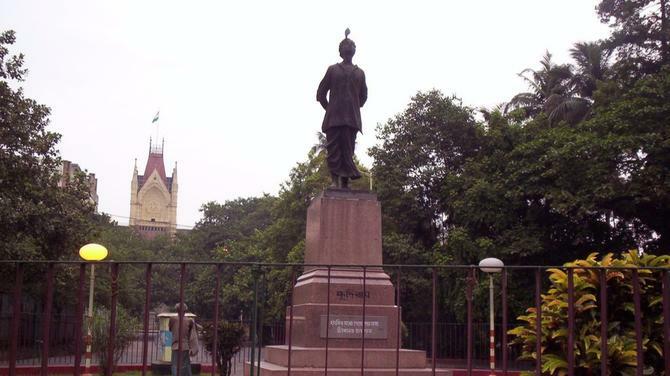 He was made a soldier (sepoy) in the 6th Company of the 34th Bengal Native Infantry. Initially, he was reportedly very excited about his military career which he considered to be a stepping stone to success. There were also several other Brahmin young men in his regiment. As the years passed, he began to grow disenchanted with military life. 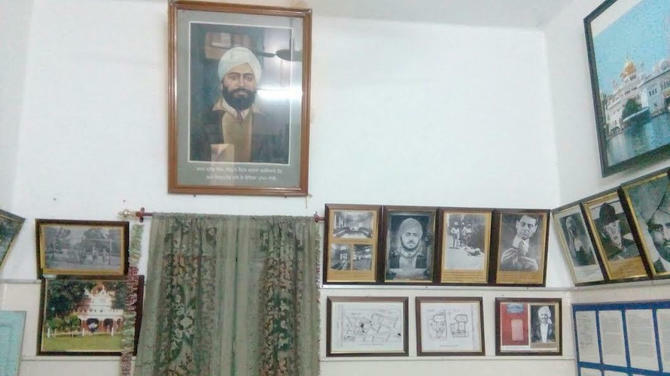 When he was posted at the garrison in Barrackpore in the mid-1850s, an event happened that changed the course of his life and significantly impacted the Indian independence movement. 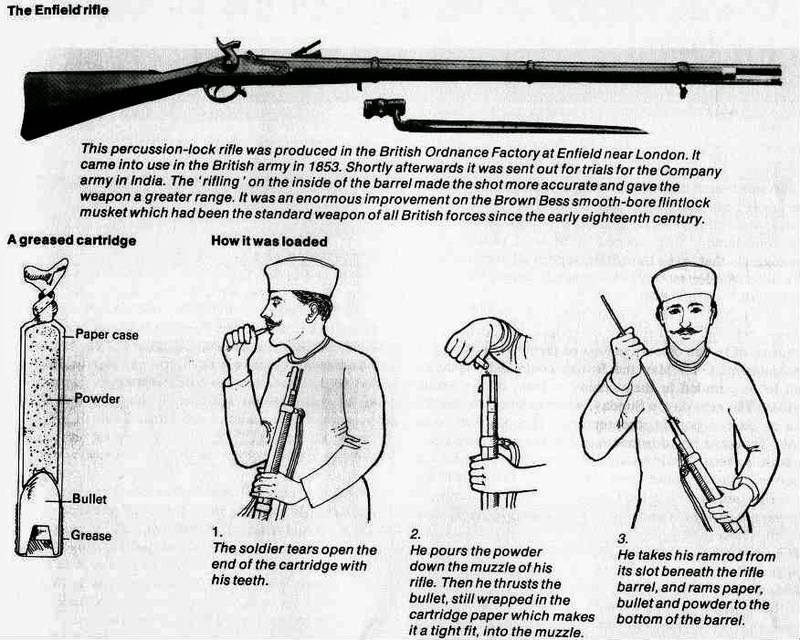 During that time, a new Enfield rifle was introduced into India and the cartridge was rumoured to be greased with animal fat from pigs and cows. To use the rifle, the soldiers would have to bite off the ends of the greased cartridges in order to load the weapon. As the cow is a holy animal to the Hindus, and the pig is abhorrent to Muslims, the use of fat from these animals in this way was considered sacrilege by the Indian soldiers. They thought that it was a deliberate act by the British in an attempt to defile their religions. Mangal Pandey, himself a staunch Hindu Brahmin, was enraged by the alleged use of lard in the cartridges. He decided to take violent action against the British to show them his disapproval. On March 29, 1857, a quiet and sleepy Sunday afternoon, Mangal Pandey, armed with a loaded musket, paced in front of the regiment's guard room by the parade ground, inciting other Indian soldiers to revolt against the British. He attacked two British army soldiers, Lieutenant Baugh and Sergeant-Major Hewson, injuring them badly. Some of his fellow soldiers joined him in the rebellion though another sepoy, Shaikh Paltu, restrained Pandey in order to prove his loyalty to the British. Many other sepoys stood watching the fight as mute spectators while a few advanced and hit the English officers. Later, more English officers arrived on the scene. Sensing that his arrest was inevitable, Mangal Pandey tried to kill himself. He shot himself in the chest and collapsed bleeding but was not fatally wounded. After being arrested he was tried and sentenced to death. His execution was set for April 18, 1857. The British authorities, however, feared the outbreak of a bigger revolt if they waited this long and executed him by hanging on April 8, 1857. 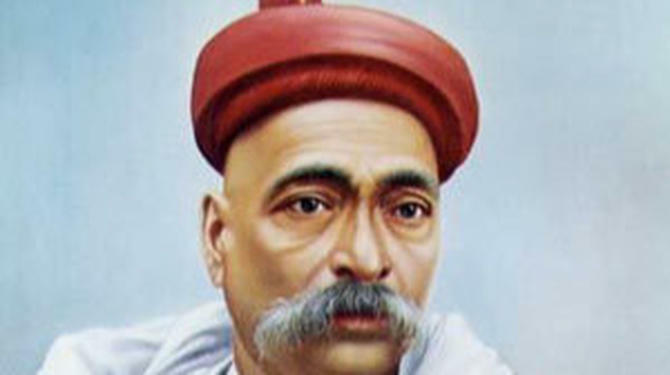 His execution caused massive resentment among the people of India and acted as a spark to launch the First War of Independence. The revolt again began in Meerut on May 10, 1857 when the Indian soldiers killed their British officers and marched to Delhi. They were joined by the soldiers stationed in Delhi who proclaimed the last Mughal Emperor Bahadur Shah II as the Emperor of India. The rebellion spread like wildfire and British rule ceased to exist over a vast part of northern and central India for many months. The major centres of the revolt, besides Delhi, where some of the fiercest battles were fought, were Kanpur, Lucknow, Bareilly, Bundelkhand and Arrah. Local revolts took place in many other parts of the country. 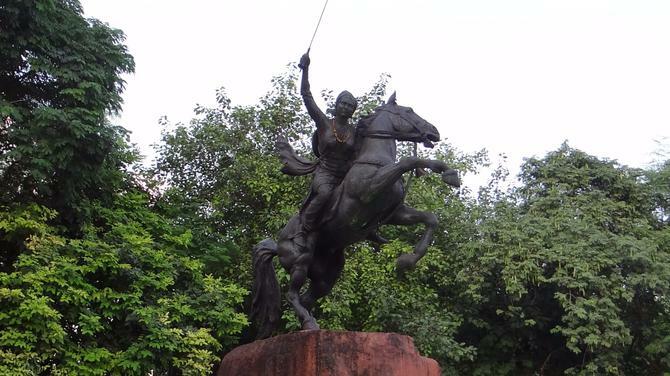 Among the prominent leaders of the uprising were Rani Laxmi Bai, Begum Hazarat Mahal, Nana Sahib, Tantia Tope, Bakht Khan, Azimullah Khan, Kunwar Singh, Maulvi Ahmadullah, Bahadur Khan and Rao Tula Ram. 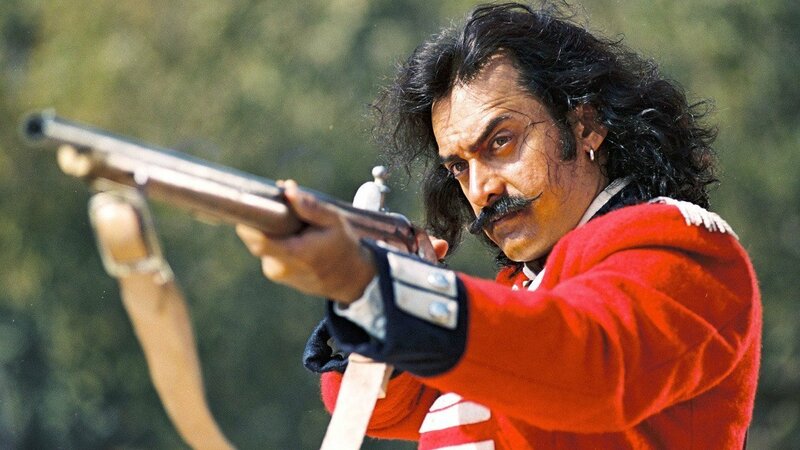 Mangal Pandey was held up as an icon of the Revolt of 1857; a film based on the sequence of events that led to the mutiny and war titled 'Mangal Pandey: The Rising' was made. The film starred famous Indian actor Aamir Khan as Pandey along with Rani Mukherji, Toby Stephens and Amisha Patel. It was directed by Ketan Mehta and released on August 12, 2005. The brave and adventurous life of Pandey was also the subject of a stage play titled The Roti Rebellion, which was written and directed by Supriya Karunakaran. The play was organised by Sparsh, a theatre group, and presented in June 2005 at The Moving Theatre at Andhra Saraswat Parishad in Hyderabad. 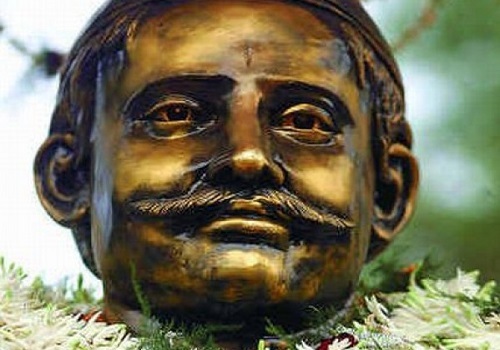 To pay homage to the memory of Mangal Pandey, a memorial has been built at the Barrackpore Cantonment in West Bengal. 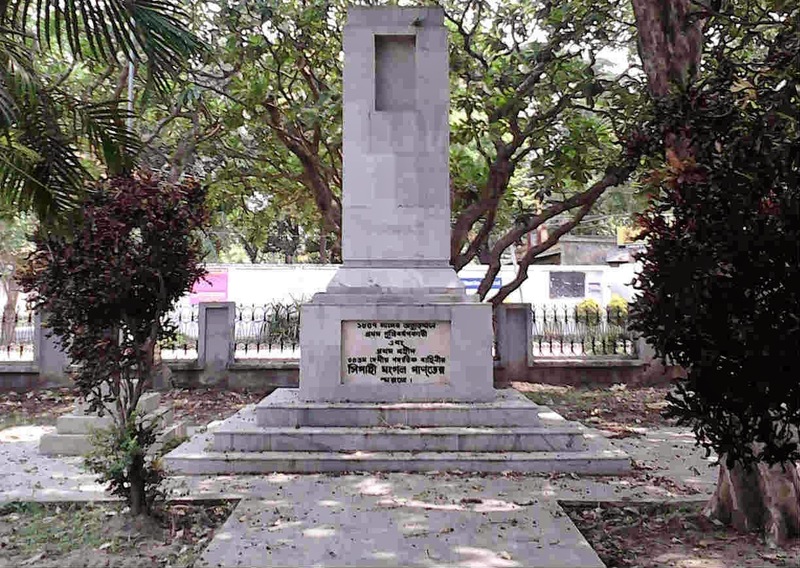 The cenotaph is located on Surendranath Banerjee road where people from different parts of the country come and pay tributes to the memory of first martyr of First War of Indian Independence. The Government of India remembered Pandey by issuing a postage stamp bearing his image on October 5, 1984. The stamp and the accompanying first-day cover were designed by Delhi-based artist CR Pakrashi. 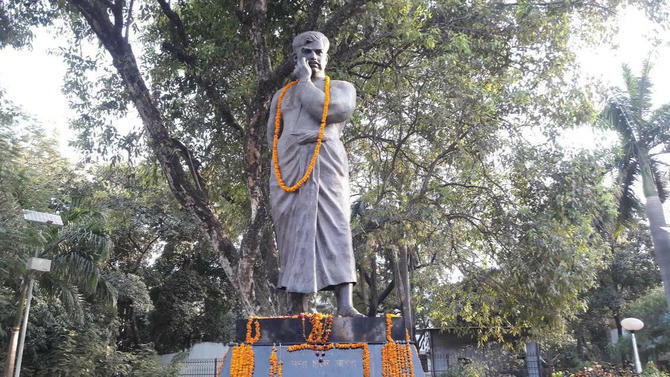 To keep alive his memory, Shaheed Mangal Pandey Maha Udyan park has also been constructed to commemorate the place where Pandey attacked the British officers and was hanged, at Barrackpore road in Barrackpore sub-divisional town in North 24 Parganas district.